Your Hero's Health will increase as you level up! Heroes of a higher rarity will have more Health! Pay attention to the activation condition of your Heroes‘ Talents and pair your Creatures with them. Bazaar items change at 9:00, 12:00, 18:00 and 21:00 daily! Stronger Heroes require a higher Cost. Level up quickly to increase your Total Cost! Hero Shards can be obtained in the Bazaar, Trials Chest or Credits Mall. Fuse them to obtain new Heroes! Allowing your Hero to take a hit for you could be a viable strategy! Mortii overwhelm their foes with curses and the power of reanimation. Earn lots of Coins by exploring completed Dungeons. Got a thing for magic and control? The Faens will suit you well. Sign in daily to get Coins, Gems, and maybe even Coupons or Special Cards! 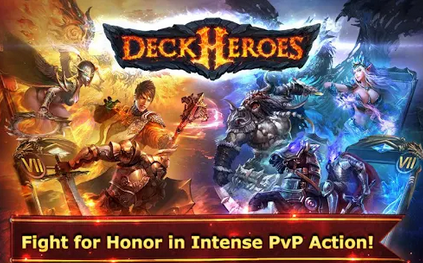 Pair your Heroes with cards from the right Faction to gain the advantage! Zone Chests can Be unlocked By completing Dungeons within a Zone. Clear Dungeons on higher difﬁculties to obtain better, rewards! . Buy Energy to level up faster!